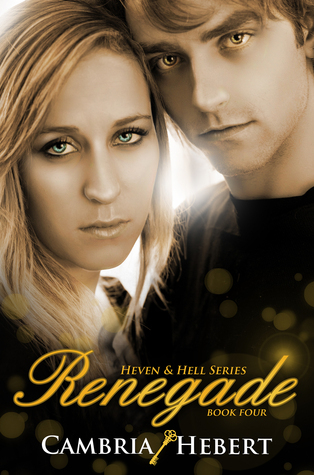 I’ve really enjoyed the other books in this series, and Renegade was no exception! I think I liked it about the same as Tirade, maybe a little more. I definitely got pulled back into this world, which I really like. It’s different than a lot of other paranormal books I’ve read, and it was nice to jump back into Heven’s life. Everyone got the ending they deserved, and I’m glad things worked out for so many characters. There were some unexpected happenings, but even then, I wasn’t too surprised they happened (even if I didn’t want things to go that way). Still, the one person I wanted to know more about was Kimber! She’s definitely her selfish, jealous self in this one, and her story is the one that felt the most unresolved to me. I’m really curious about what happened to her more than anyone else because of that. And there is something about it that leaves me hoping (at least a little) that there’s at least one book set in this world about her. It’s the same with Riley, at least in terms of slightly unfinished story lines. While things are (mostly) resolved, there are I few things I’m slightly curious about because there weren’t a lot of details. Like, the girl that China killed in the first book…did the family ever get closure with what happened to her? And did Sam ever find his peace with what happened? Also: the real reason why Heven’s mom thought she was marked for hell. We get more of that backstory, but not enough to make me happy! And I wish Gran had more of a role in the series, but particularly this book, with some of the things that Gran’s been hiding. She’s such an awesome character, and her few appearances makes me wish we saw more of her. 3 stars. I thought it was a really good conclusion to the series, and I’m sad that it’s over (but at least there are novellas to read!) but there was something about this book that was slightly repetitive. Still, I liked it!